This recipe is so simple and great to make for children's parties, social gatherings. Best of all it is great for anyone who loves Nutella. 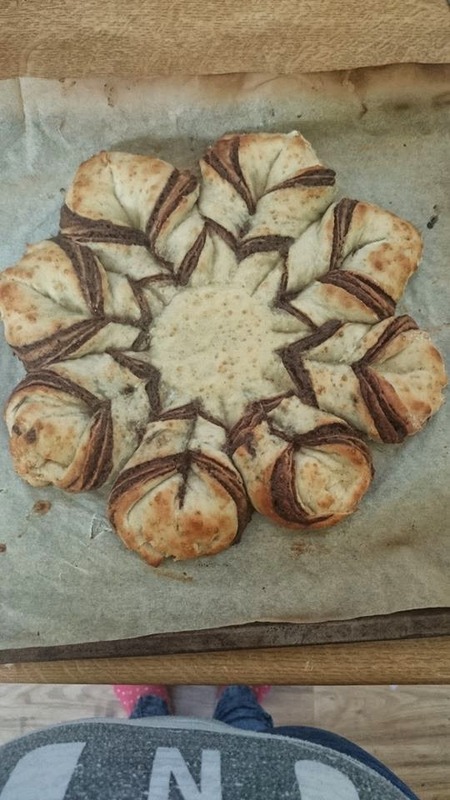 I saw a video online of the star bread but I couldn't find a recipe so I did what I normally do when it comes to baking I make it up as I go along and hope for the best. For the dough I used a pizza dough recipe, which was ok but I think when I make this again I will use a brioche recipe so the dough once cooked is softer. This is so simple you combine all the ingredients together in a bowl, or if you are lucky enough to have either an electric mixing bowl or bread machine. 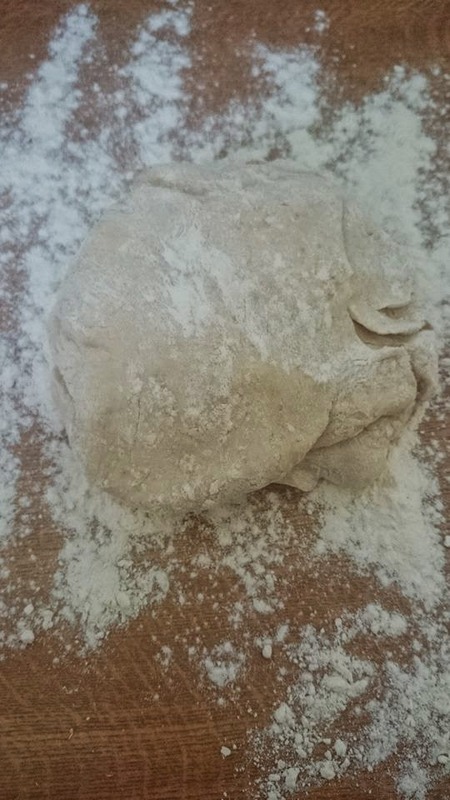 Mix them all together until you form a ball of dough. I found it easier to add the water bit by bit so I didn't end up with a sticky blob. 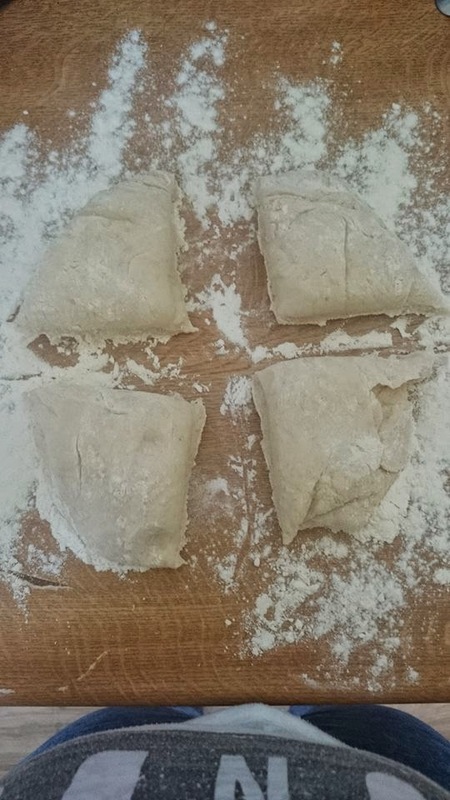 Form a ball shape from your dough then cut into four. 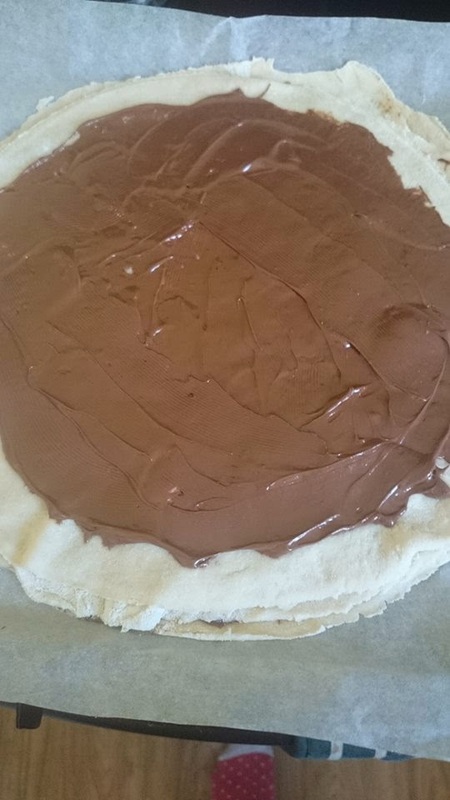 Each quarter of the dough will be a layer to your Nutella star. 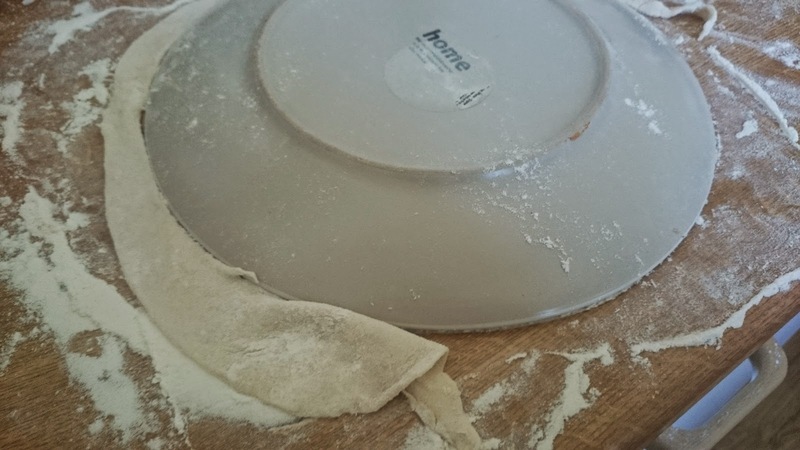 Take one of the quarters and roll it out on a floured surface, place a plate on your rolled out dough and cut around the plate. This gives you your first layer. Now you have your first layer you can smoother Nutella all over. I found I needed to warm the Nutella up so I just popped it in some hot water. This made it more running and a lot easier to spread. I may have ate some at this point as warm Nutella smells so good. 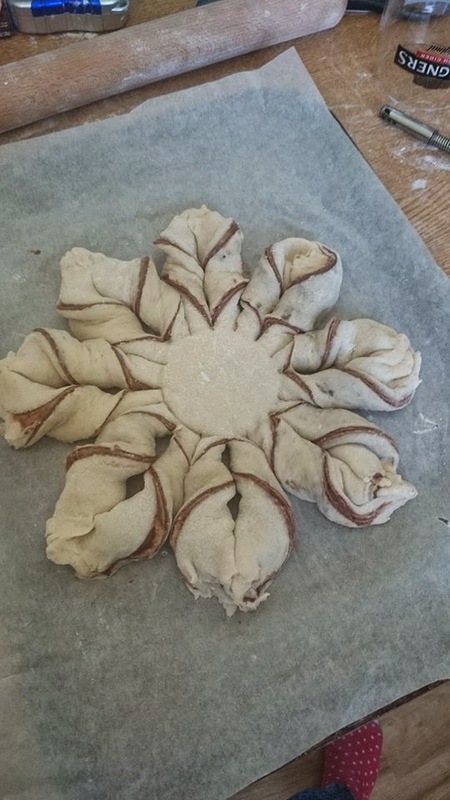 Repeat the layering process until you have one piece of the rolled out dough left. Place the last circle on top but do not cover this part in the Nutella. 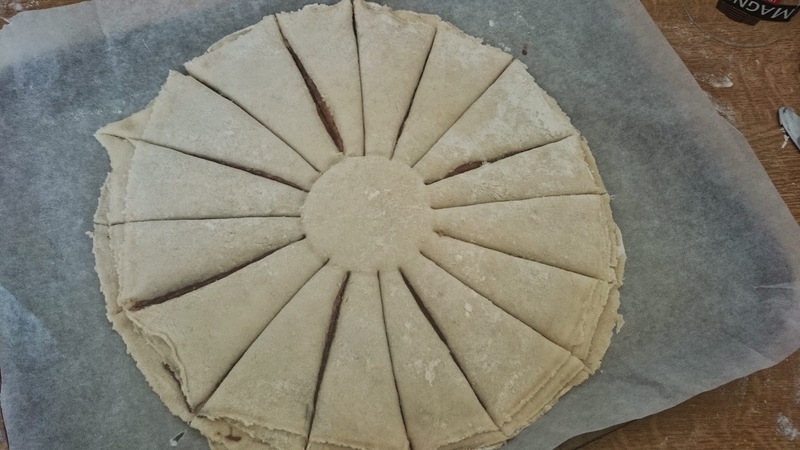 To create the star looking shape, get a glass and place in the centre of the top layer. Take a sharp knife and cut outwards from the glass to make 16 pizza slices. Now this next step I found a bit tricky as I wanted the great star shape. Take two slices which are next to each other and twist them twice over away from each other. Repeat this until all slices are twisted. Pinch the twisted ends together like in the second picture above. 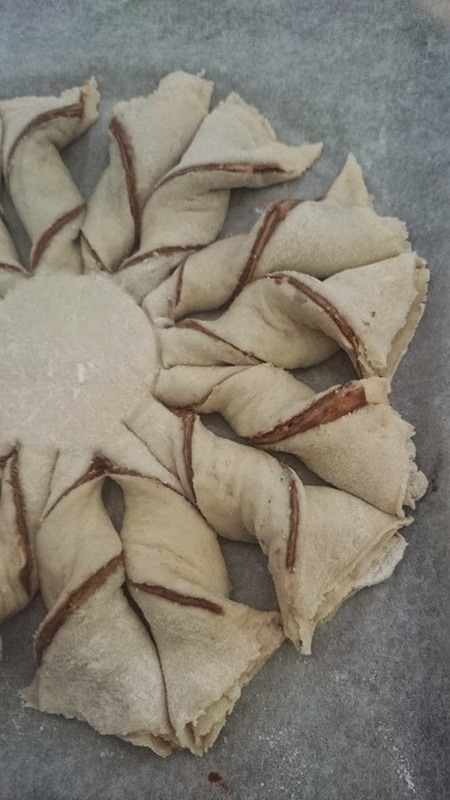 I then brushed my dough star with an egg white. I popped it into the oven for about 20 minuets until it was golden in colour I used gas mark 6. Then I sat an ate it as it smelled so good, I would advise you let it cool for a while first though.